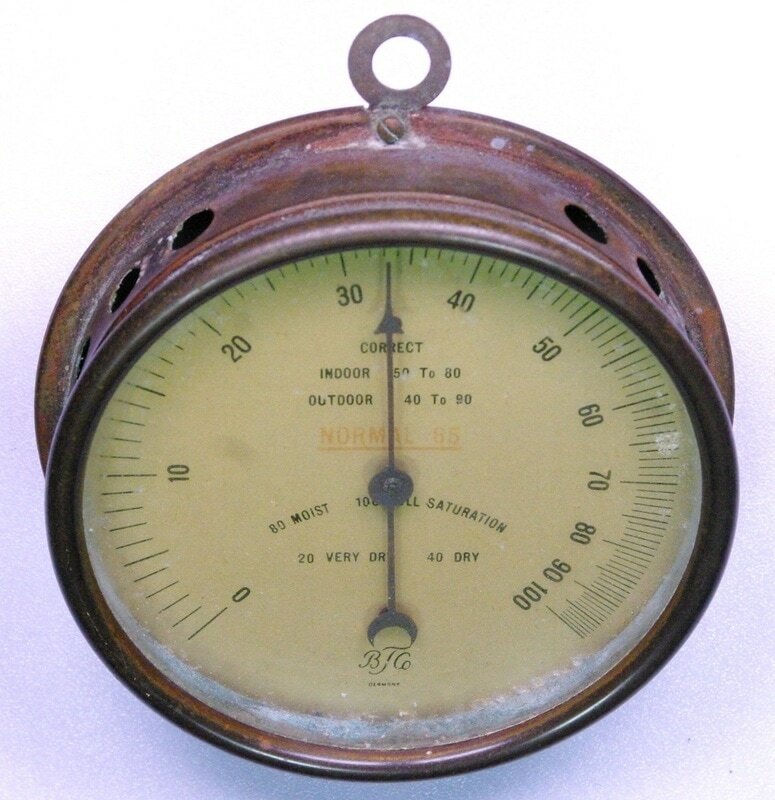 This brass dial hair hygrometer was supplied by the Brooklyn Thermometer Company. Brooklyn Thermometer was founded in 1903 and did sell hygrometers. However the dial indicates that this instrument was made in Germany. The styling looks like 1920s or earlier. ​Hair hygrometers work on the principal that human or animal hair is hygroscopic, it expands and contracts as moisture is absorbed or released. Typical accuracy of hair hygrometer is +/- 3% or 4% relative humidity. Go to Brooklyn Thermometer catalog page.